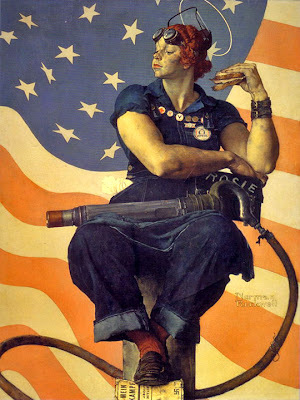 I hope everyone is able to enjoy the long weekend this Labor Day. There are a bunch of great sales going on now until Monday. Make a purchase and you’ll save some cash, pick up some rad gear, support some awesome companies, and stay the hell out of the mall (which is going to be a cluster). I’ll probably take advantage of a few of these. I tried to note which sales have the items discounted automatically, and which ones require you to enter a code at checkout. Selected Dance Party Massacre items are discounted over at Fab.com. Create a free account for access to sales. Not really a Labor Day sale, Design By Humans is offering 30% off with their coupon code, and a special bonus for 10 random winners. Electric Zombie‘s back to school sale has been extended to Tuesday, 09/04. No code necessary, sale prices are indicated. Receive 20% off at Karmaloop with the code above. 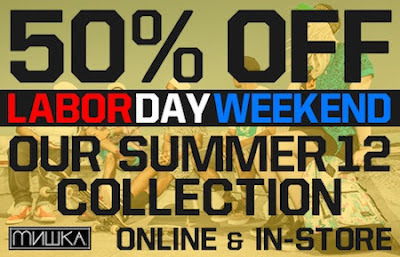 Mishka is offering 50% off their Summer 2012 items. No code necessary, the discounts are already listed. 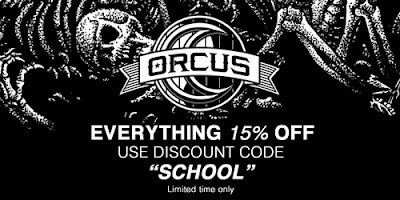 Another back to school sale, use the discount code above at Orcus‘ online shop. PLNDR has two different sales going on for the weekend (in addition to their already discounted prices). The first is on everything on the site, the second is only on selected items. You have to create an account to take advantage of their sales, but it’s definitely worth it. 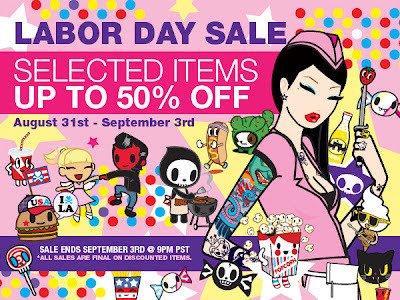 No code necessary at Tokidoki, where discounts are already listed on the sale pages. 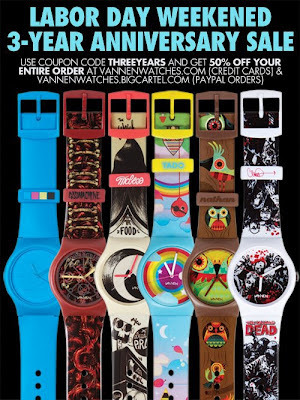 50% off Vannen watches with discount code. Note that their website store accepts only credit cards, and their Bigcartel store accepts paypal. The code is valid in both sites. 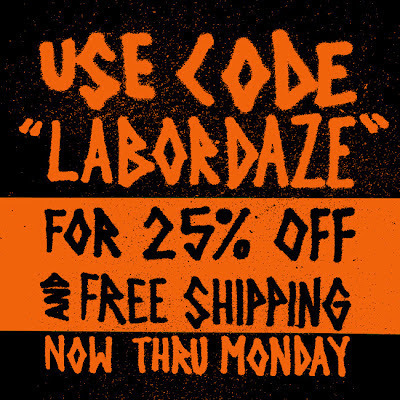 Get 25% and free shipping at VNM.